It's been a rough day for my girlfriend and I today. 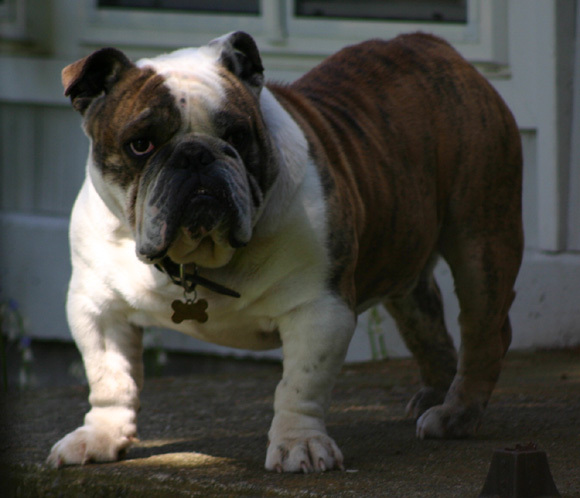 Our English Bulldog, "Roddy," who I've blogged about in the past, passed away today. He would have been four years old on September 6th. Sorry to hear about Roddy, always a pain to lose a family pet. I remember the days of him chewing through monitor cables and his other puppy hijinks. Bernie....I am so sorry. This just breaks my heart. Consider yourself hugged and give your girlfriend one from me too. B, we are so sorry. We are thinking of you both. I am just glad we got to meet him. Thanks for the kind words, you guys. They are greatly appreciated. Fortunately for us, we have plenty of happy memories (chewed up monitor cables included) to remember him by.